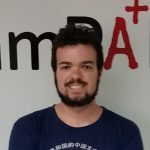 This article is written by a guest author and may not represent examPAL’s opinions. Have you already acquired or are you on the verge of acquiring your Bachelor’s degree? Currently considering your next move? Think you have to earn one more degree to become more competitive in the job market? Then keep in mind the option to apply at a business school. 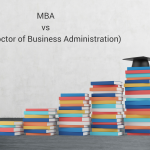 Most of the programs offered are MBAs, but there are also other degrees in Management and Entrepreneurship, which don’t offer an MBA qualification, but quality education at a lower price. 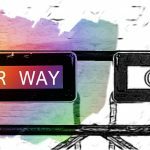 In order to help you make that decision, in this article we offer the most common reasons to choose a business school. 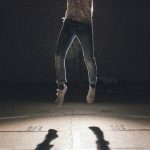 You are among those people who are often described as “entrepreneurs at heart” – you have great ideas and dream about how to bring them to fruition. You have never wanted to work for anyone else but yourself and don’t hesitate to assume responsibility. Whether you already have a business idea or wish to develop one later, a business school is a good choice for entrepreneurs because it provides students with strong business knowledge for start-up projects. You’ll use your acquired managerial skills when your company grows and you have to supervise and look after many employees. If you like calculations, strategies and statistics, and they are simply your preferred field of study, of course you should follow your heart and go to a business school. If you want to do business research or find an academic job and teach others all about marketing, management, accounting, entrepreneurship or business, this is the best place for you. You might even consider yourself lucky that this is your passion, since finding a job with such a degree shouldn’t be very challenging. Being employed in a good company isn’t your ultimate goal. You wish for career development and growth, and you just love the corporate world. After a few years’ work experience, you see yourself in a managerial position in a prosperous business organization. 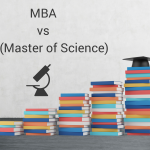 If these are your aims and you are sure a business career is the path you want to choose, you will definitely need a Master’s degree (an MBA might be an advantage) from a business school. You are a hard worker and you want to give your best in your career. It is just natural to expect suitable revenue for your efforts. According to research, MBA graduates receive higher salaries. If a good income is your main motivation, a business school is a good option for you. But don’t forget that you will also need to invest a lot of money and energy and be patient until you gain enough experience and knowledge before the so-called ROI (return on investment). Bachelor graduates sometimes don’t know exactly what they want to study or do next. However, there are many prestigious business schools that some students choose because they strive for a prestigious degree. If you already have professional experience and you can afford it and be admitted to one of those schools, it will definitely bring you one step ahead. A renowned business school degree would be a big advantage on your CV and something that you will always be proud of, since it requires a lot of effort and it’s quite hard to get. 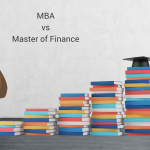 If you can financially afford an MBA in a business school, you will most probably boost your career chances enormously, as the ROI almost ensures it in most cases. Did we motivate you to consider applying to a business school? Check out here to find your desired institution and Master’s/MBA program.